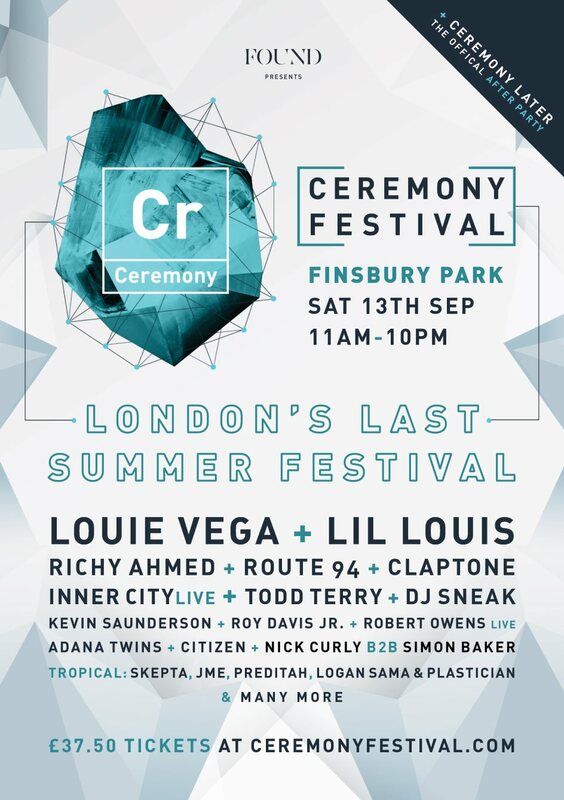 It’s not everyday you see Todd Terry perform a hip-hop set; nor is it everyday you get the chance to see Louis Vega, Kevin Saunderson, Robert Owens (live) and Inner City perform in one day. Welcome to Ceremony Festival. Whilst some of dance music legends are booked to play, other highlights include: Kidnap Kid, Richy Ahmed, Sidney Charles – who is a must see for us – Chez Damier, Mad Tech’s Citizen and the UK garage classic outfit – DJ Luck and MC Neat.